There are a host of different ways in which to buy theatre tickets – here is some practical advice about choosing the best and safest method for you. It is now possible to buy theatre tickets in several different ways, from booking online or over the telephone to visiting the box office in person or heading to the tkts booth at the last minute. Each method has its own benefits and drawbacks and so it worth familiarising yourself with them before booking your tickets. 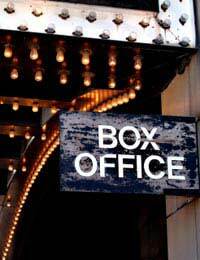 If it is conveniently located, then a visit to the traditional box office in person is the best method to buy tickets. One of the major advantages is that there is usually no booking fees associated with buying tickets in person. Whereas if you choose instead to make your booking over the telephone then you can expect to pay a small administration fee. Whether booking face to face or over the telephone, the box office is also a popular option for theatre-goers because it enables them speak to an administrator who knows the theatre well. This is especially good if you want to ask advice about factors such as getting the best seats for your money. Theatre box offices are typically staffed from 10am until about half an hour after the evening show begins. There are a great many different theatre ticket agencies operating in the major cities in the UK, ranging from well-known international companies to small independent operations. Most agents you will encounter will be honest and reputable but it is important to still keep an eye for the dodgier operator. To ease any concerns about choosing a legitimate organisation it is recommended that you only book with agents that are members of STAR (the Society of Ticket Agents & Retailers), a group that encourages high standards amongst its ticket outlet membership. The downside to ticket agencies is the additional fees they charge on top of the ticket price. This charge could relate to various booking, administration or transaction costs, but under no circumstances should it exceed 25% of the face value of the ticket. For convenience over cost, online ticket agencies are a good option. You can simply book your seats online and then have your tickets delivered to your door. It is worth noting, however, that online agencies typically charge the most in additional fees, not least the postage costs for sending the tickets. If you don’t have the time to book or you looking for a bargain then London has its own much celebrated discount ticket booth. The tkts booth in Leicester Square is a great way to secure cheap tickets for major West End shows on the day of performance. It is open from 10am to 7pm on Monday to Saturday, and then 12pm until 3pm on Sundays. For the bonus getting between 25% and 50% off the ticket price, you unfortunately can’t be so picky as to where you want to sit. Whether there is any view restrictions from the seat. Where the seats are located. What the face value of the ticket is.